U.S. equities closed lower on Monday, notching their worst day of the year, as a new measure taken by the Trump administration on immigration sent jitters through the market. President Donald Trump signed an executive order late Friday that would temporarily bar entry into the U.S. to Iraqi, Syrian, Iranian, Sudanese, Libyan, Somali and Yemeni citizens. The order seeks "extreme vetting" procedures for those it did allow to enter the U.S. In signing the order, Trump said he pledged to "keep radical Islamic terrorists out of the United States of America." "We spent the first two months [following the election] focusing on the positives for companies. What we're seeing here is that life is not a straight line," said Craig Sterling, head of U.S. equity research at Pioneer Investments. "Perhaps the market is looking at the other side of things. Maybe the Trump administration is not going to do all the things businesses want." 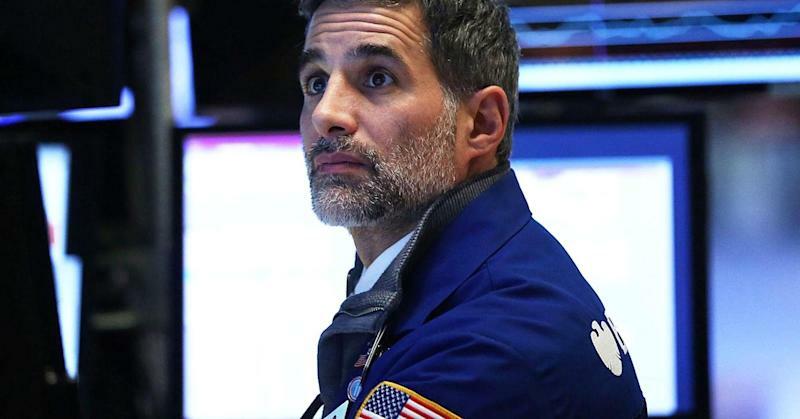 The Dow Jones industrial average fell around 120 points after sliding more than 223.39 points, dropping below 20,000, with Goldman Sachs (GS) contributing the most losses. The S&P 500 dropped 0.6 percent, with energy shedding 1.7 percent. The Nasdaq composite underperformed, falling 0.8 percent. "I think it also has to do with what the immigration policy represents [in terms of] the way the Trump administration is going to operate," said John Conlon, chief investment officer at People's United Wealth Management. "The fact is that you've got a major policy that was implemented very quickly. That's causing uncertainty." The order sparked outrage as thousands took to the streets across the U.S. in protest. Several world and corporate leaders also condemned the order. On Saturday, a federal judge issued an emergency stay to halt the deportation of people with valid visas who landed in the U.S.
"The Trump worries are now beginning to set in," said Peter Cardillo, chief market economist at First Standard Financial. "We're having this ongoing worry effect that could overtake earnings and economic data." The U.S. stock market has seen a massive rally since Trump's election, with the S&P and Dow advancing 7.25 percent and 9.61 percent since Nov. 8, respectively. "You're coming off all-time highs on virtually every index," said Mark Spellman, portfolio manager at Alpine Funds. "It doesn't take much for people to take a breather." Traders have bet on Trump's promises of tax reform, infrastructure spending and deregulation that would boost growth, just as earnings have begun growing again. "While investors were very quick to price in the expected impact that deregulation, infrastructure spending and job growth could have on the U.S. economy, I find it very difficult to believe that after pricing in heavy premiums based on fiscal promises, that investors are not now reconsidering what damage Trump might do by implementing other promises that supplemented an incoherent and ranting political campaign," said Jameel Ahmad, vice president of research at FXTM. "Whether it is building a wall, banning certain nationalities, starting a trade war or pretty much anything else President Trump may do to upset people, it does risk both creating and deepening a negative perception of the U.S.," Ahmad said. In economic news, pending home sales for December rose 1.6 percent, while personal income rose 0.3 percent, below an expected increase of 0.4 percent. The data releases come a day before the Federal Reserve kicks off its first monetary policy meeting of the year. The central bank raised rates by a quarter of a percent at its December meeting. However, market expectations for a rate following this meeting are just 4 percent, according to the CME Group's FedWatch tool. "I'm as enthused as anyone about tax cuts (even though we don't know what final form will look like) and regulatory relief (but worried about trade protectionism and immigration bans)," said Peter Boockvar, chief market analyst at The Lindsey Group, in a note. "But to think that somehow the Fed is no longer relevant to both the economy and markets as they step up rate hikes I think is delusional," Boockvar said. U.S. Treasurys were mostly steady, with the benchmark 10-year note yield holding near 2.496 percent and the short-term two-year note yield around 1.22 percent. The U.S. dollar (STOXX:.DXY) fell 0.1 percent against a basket of currencies, with the euro (Exchange:EUR=) near $1.069 and the yen (Exchange:JPY=) around 113.7. In corporate news, earnings season continues this week as the likes of Exxon Mobil (XOM), Apple (AAPL), Facebook (FB) and UPS (UPS) get set to report quarterly results. European stocks traded broadly lower, with the pan-European Stoxx 600 (^STOXX) index dropped 1.05 percent. In Asia, stocks also fell, with the Japanese Nikkei 225 dropping 0.51 percent. The Shanghai equity market was closed for the Chinese New Year holiday. The Dow Jones industrial average (Dow Jones Global Indexes: .DJI) fell 165 points, or 0.82 percent, to 19,928, with DuPont (DD) leading decliners and Wal-Mart (WMT) the top advancer. The S&P 500 (^GSPC) dropped 18 points, or 0.79 percent, to 2,276, with energy leading all 11 sectors lower. The Nasdaq composite (^IXIC) shed 62 points, or 1.11 percent, to 5,596. About three stocks declined for every advancer at the New York Stock Exchange, with an exchange volume of 499 million and a composite volume of 2.404 billion in afternoon trade. The CBOE Volatility Index (VIX) (^VIX), widely considered the best gauge of fear in the market, traded 16.5 percent higher, near 12.3. Gold futures for April delivery (CEC:Commodities Exchange Centre: @GC.1) rose $4.90 to settle at $1,196 an ounce. Crude oil futures for March delivery fell 54 cents to settle at $52.63 a barrel. — CNBC's Javier David contributed to this report.